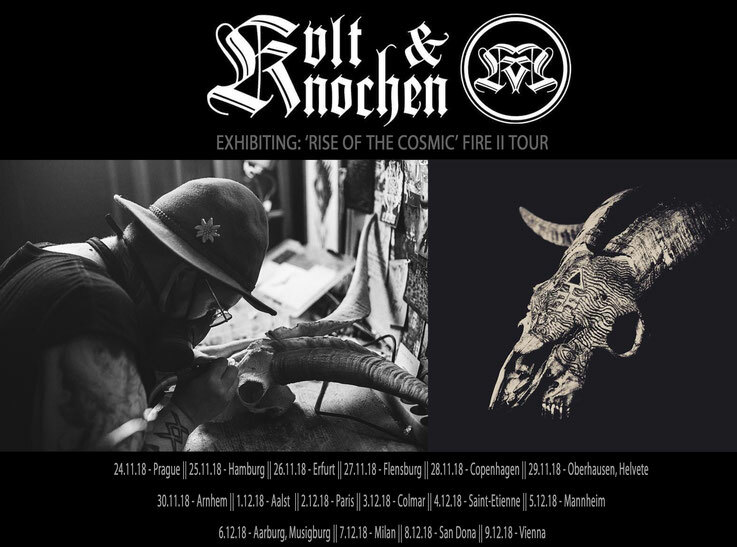 KVLT & KNOCHEN - Realizing specific conceptual tour productions. 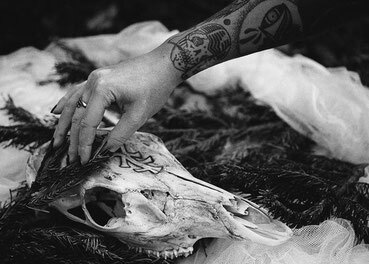 I was the strange kid collecting dead things from roadkill to bones I could find in the woods, in a parallel universe I maybe would have become a serial killer or worse, here I found the ability to combine my attraction to death with art.. I have been creating since my very childhood, it took me some decades to find my preferred medium though..
Where does your Artist name come from? 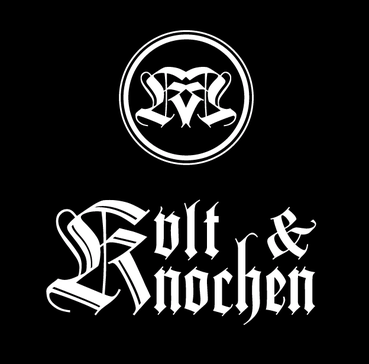 ..the name is pretty simple & bold, combining the material I work with (“Knochen” = “bones” in German language) & my roots in Black Metal..
What does it mean to you to create your art? What would happen if one would prevent you from doing art? ..although I need specific tools to work on my pieces there is always a way to release artistic energy. I have also carved skulls & bones without electricity, but with primitive tools made by myself. Being unable to create, respectively having an opportunity to release artistic energies sounds like an unimaginable nightmare to me. I often look at people that don´t have any passion within them, be it art or anything else, & they look already dead to me.. I can`t imagine being a breathing bag of meat, only there to pay bills & consume, without having the ability to express oneself & the deepest inner. ..I draw inspiration from all kind of things, be it music, nature, old books, other artists & there approach towards what they do. In the end the biggest inspiration is the skull itself though. 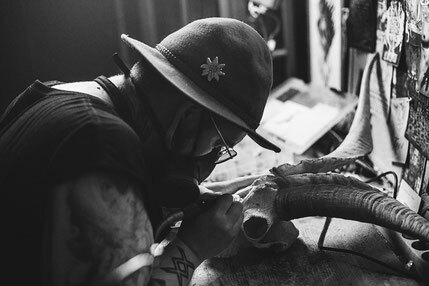 A big amount of time of the whole process of creating a piece is not the carving itself, but the effort to find a deeper connection to the bare skull..
Are there certain principles or guidelines you apply when creating a new piece? Not only with regards to your art itself but also to the environment you create in, your surroundings, the atmosphere? I mostly work at the studio/gallery incorporated in my house on the countryside, the surrounding there is nothing less than adapted to what I do, it is arranged to create a proper atmosphere to find into the world I am trying to express & create through my pieces. On the other hand it is always an interesting experience working on other places, for example outside in nature, it gives you another kind of input & you have to find new ways to adapt. What do you feel when you create? ..Most of the time it is more of a “meditative” state of mind during working on a piece, there is not much emotion involved during the process itself, the emotions enfold when the piece is finished though..
Why are you doing what you are doing? What is the purpose behind it? Is there a grand philosophy behind your art? 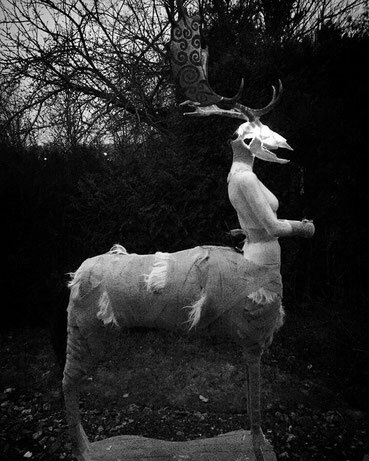 ..the purpose seems to manifest itself more & more, in the beginning it was more of a wish to create a contemporary memento, in the meantime there are visions that I have the urge to realize & they tend to get bigger & more absurd with every time.. I often have the feeling it is an inner compulsion, a voice that leads me to the workbench, only letting me go when things are done & it is satisfied with its latest offering..